Invest Kilkenny is an initiative established by Kilkenny County Council to promote and facilitate investment in the county. Kilkenny has long been a hotspot for creativity and commerce and the county council is keen to show the world all the benefits to doing business in this very attractive location. 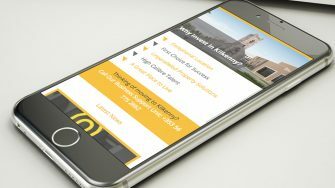 They got in touch with us a few months ago to ask if we could assist them with a few key aspects of their plan, including their website which they felt had become a bit staid over time and was in need of a makeover. They also wanted a brochure that they could hand out at trade fairs when travelling overseas. 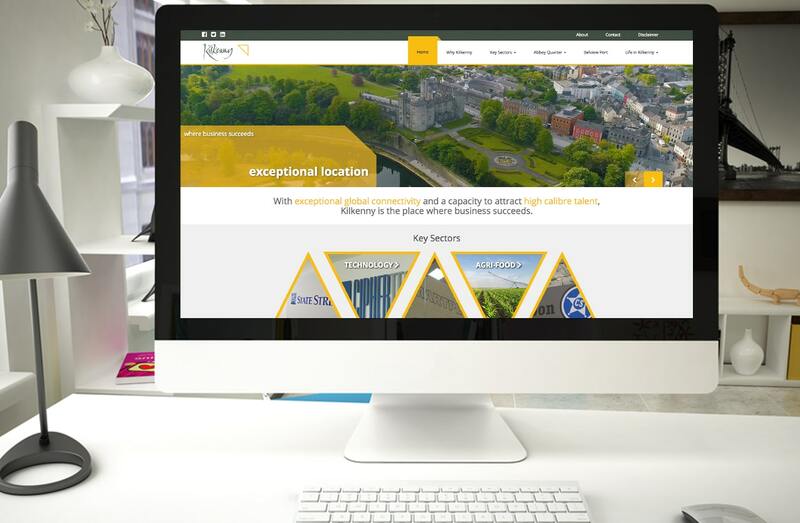 The objective of the website is to showcase Kilkenny as an attractive area in which to invest and do business. 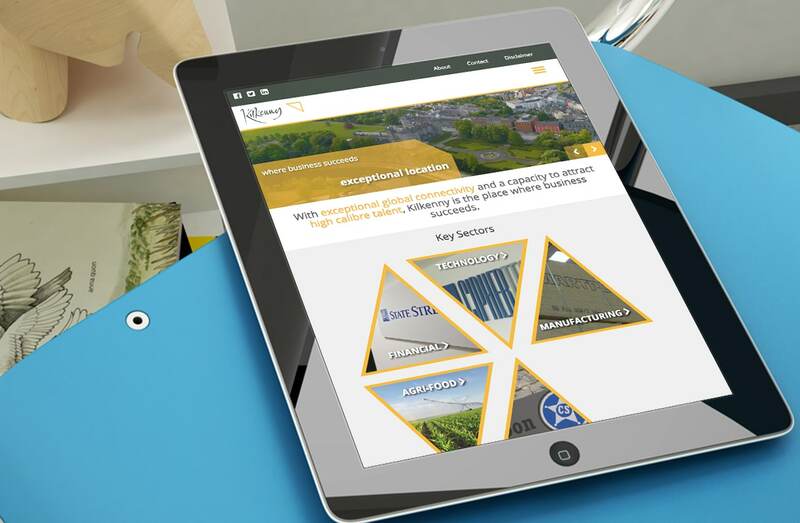 That’s why the first thing you see when you land on the home page is a slideshow with the top 5 reasons to invest in Kilkenny followed by the top 5 business sectors. 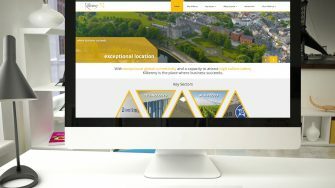 By the same token, you can’t talk about Kilkenny without referring to the rich history and cultural heritage of city, which is why many of the images on the website are of beautiful landmarks and historic buildings such as Kilkenny Castle. They serve to highlight the quality of life that businesses can expect for their employees should they to move to Kilkenny. Another impressive feature of this website are the videos that appear throughout. Specially commissioned, they tell the stories of successful companies such as Glanbia, State Street and Cartoon Saloon – some indigenous, some foreign – all of which have substantial operations in Kilkenny and are global players in their respective sectors. 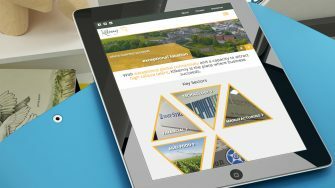 Passion worked with us in developing our new website. 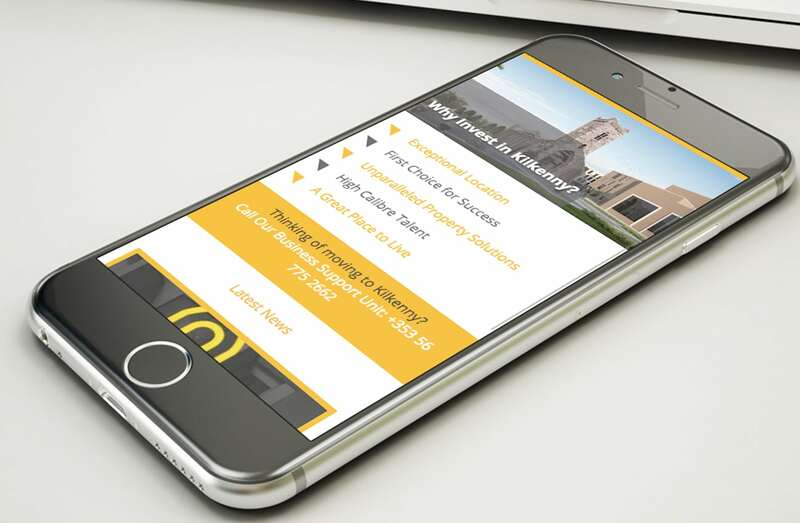 We are very happy with the overall design and professional look. It represents the quality of service we provide at Invest Kilkenny. Thanks to the Passion team for a job well done.